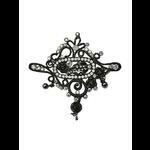 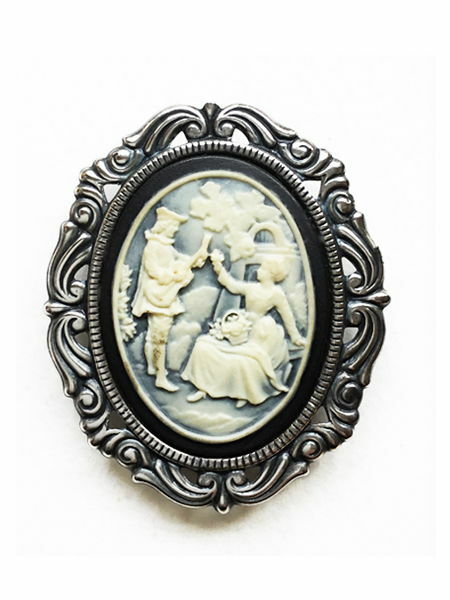 A gothic Victorian brooch with a black and ivory coloured cameo of a pastoral scene featuring a man serenading a lady. 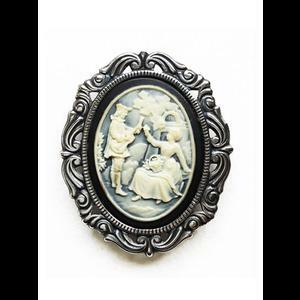 Lots of fine detail in such a small area. 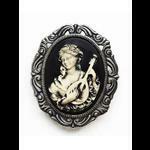 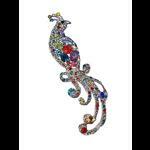 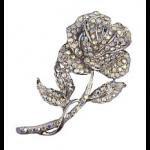 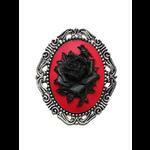 The cameo is set in an antiqued silver tone frame with a brooch fastening on the back.